BerandaKRYLL; Crypto Trading Platform is Automatic, Easy, and Safe. In the world of online trading there is a software known as "Trading Platform". In that platform the traders will do all the trading activities. You are already active in the world of trading must have understood that trading is not easy. Requires trading techniques that must be mastered. Of course to master it is not easy and fast. It takes time, process, persistence, patience, and discipline. If not, then the valuable assets possessed will vanish in the blink of an eye. All traders must agree with this. The conclusion to the throne of success in the world of trading is very difficult. KRYLL is here to offer convenience. KRYLL is a trading platform cryptocurrencies automatically, easily, simply, tough, and secure. With KRYLL, a trader no longer needs to spend a long time mastering the intricate trading techniques. Traders quite mastered how to use this KRYLL platform which they think KRYLL is designed to be easy to understand. KRYLL allows a trader to trade according to his wishes and tastes. To prove this KRYLL promise a trader is welcome to test this KRYLL capability. Before entering into actual trading he can set and set up KRYLL as he wishes. Test it over and over indefinitely until he finds success with the way his trading is applied. Setting that already felt successful in trading it can he test it again repeatedly. This is why KRYLL is said to be an easy, simple, and tough trading platform. If a trader is a beginner does not want to linger in testing his trading arrangements in KRYLL then he can use the automatic trading feature offered by KRYLL. Traders can take the settings of other traders. Of course from traders who are already expert and successful in tradingnya. 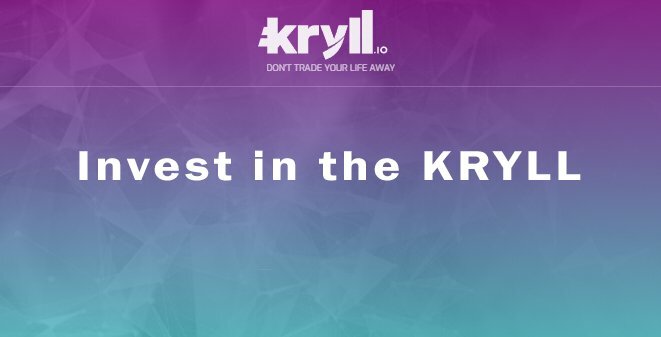 To simplify the choice of other user setting strategies, KRYLL will display the user rating in sequence according to the trading quality and success that the strategy has achieved. Conversely, if you are a reliable trader, you can rent your successful trading arrangements to other users. You will be rewarded for it. So inside KRYLL users can exchange strategies between users. To make it easier KRYLL provides chat rooms between users. They can exchange opinions, suggestions, etc. This is why KRYLL is said to be an automated trading platform. Uniquely again in KRYLL will be regularly held competition where the users who have been successful in developing their trding strategy will be rewarded for that achievement. Furthermore KRYLL will form a development and testing team on that strategy before KRYLL will integrate it into the platform. This will be another award. Keep in mind that KRYLL is not an exchange. KRYLL is a trading platform. There will be some leading exchanges will be supported inside KRYLL. The first set of supported stocks are Bittrex, Poloniex, Bitfinex, Coinbase / Gdax, Cryptopia, Yobit.net, Binance, HitBTC, Bitstamp, and Kraken. We know they are high-class exchanges. In the matter of cost in exchange, KRYLL does not charge. Just like when exchanging smart contract token in ethereum family, there is GAS there. If the user decides to trade by hiring a strategy to another successful user it will be subject to "GAS" in the form of some KRL fractions (KRYLL tokens). This will vary depending on the difficulty and complexity of the selected task. The rest of the GAS energy will be determined by the chosen strategy creator. Regardless of it KRYLL will not take hidden hidden charges. KRL is a cryptocurrency token of KRYLL that will be deployed through ICO. 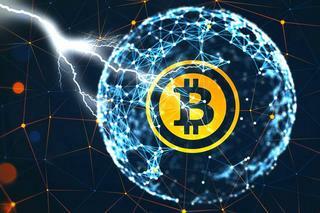 This is an inevitability in the development of cryptocurrencies projects to attract enthusiasts for funding. Those of you interested in the development of this platform are welcome to participate in ICO. Keep in mind, study this project first, read whitepapernya, consult with experts before you decide. In addition to. The Kryll project is held by Cryptense SAS, a French registered company. Cryptense SAS is a Blockchain company based in the Sophia Antipolis European technology park in southern France. Funded by 3 crypto observers, Cryptense embraces the opportunities and challenges offered by the blockchain revolution. The company has activities around three main pillars: crypto mining & optimization and contributing expertise in Blockchain & consulting, and development of automated crypto trading tools. Member time behind KRYLL also no less great. All consist of great people and experts in the world of cryptocurrencies and related ones. More details can and abaca carefully Whitepaper from KRYLL. Okay, so many brief reviews that I can write. Thank you for your visit.